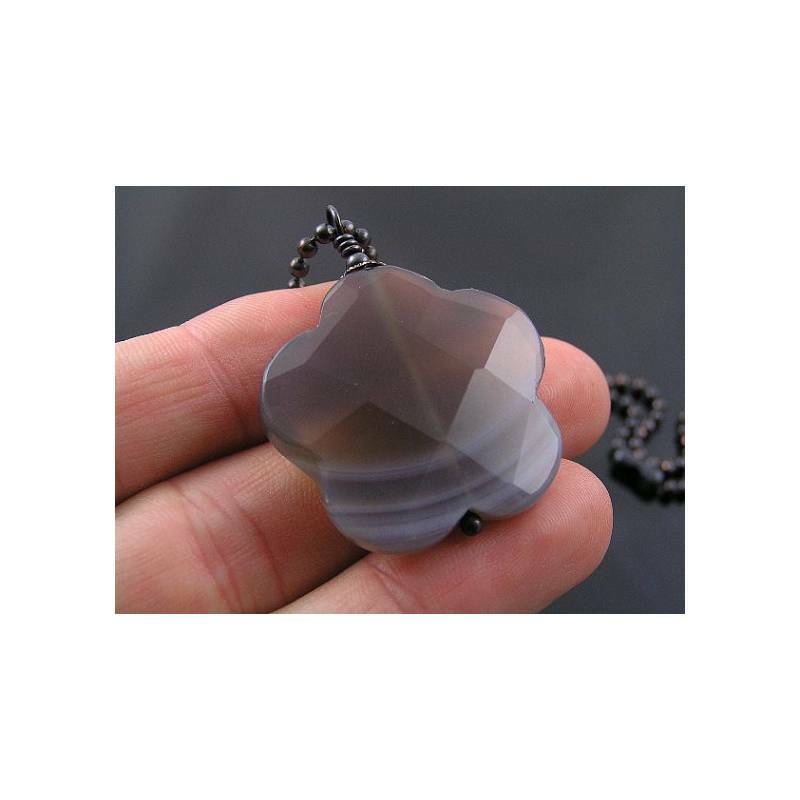 This is an amazing large striped Agate Flower pendant. 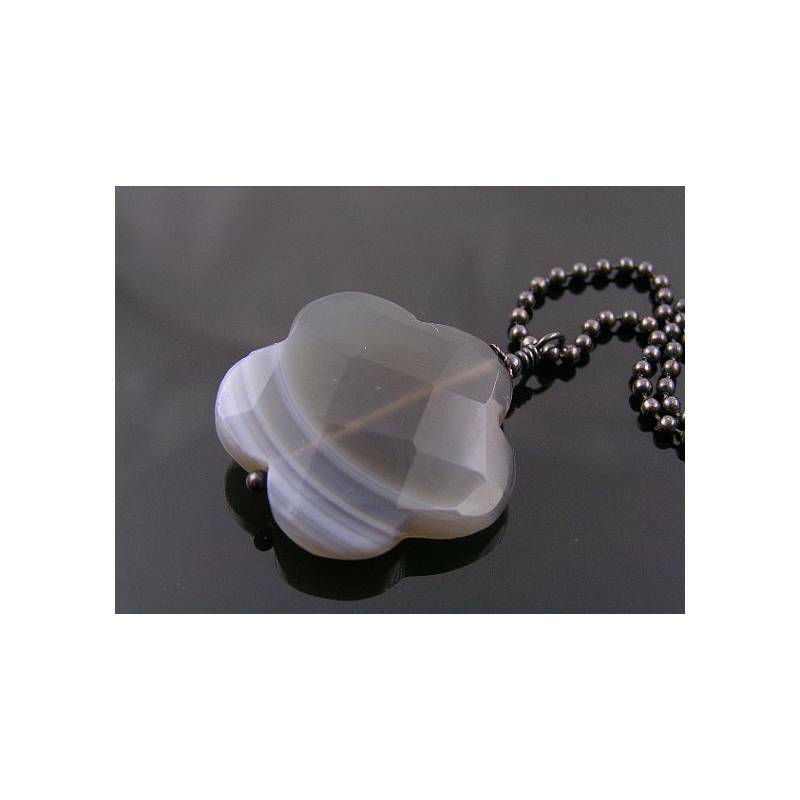 Not only is the stone carved into a flower shape, it has also been faceted. 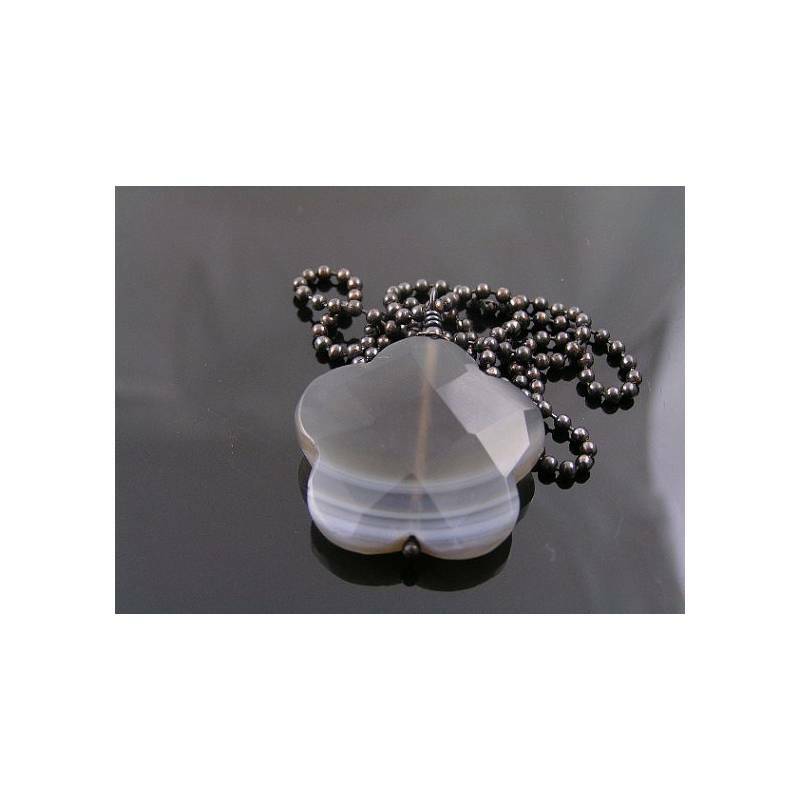 For this necklace, I didn't want to add too much to distract from the gemstone. 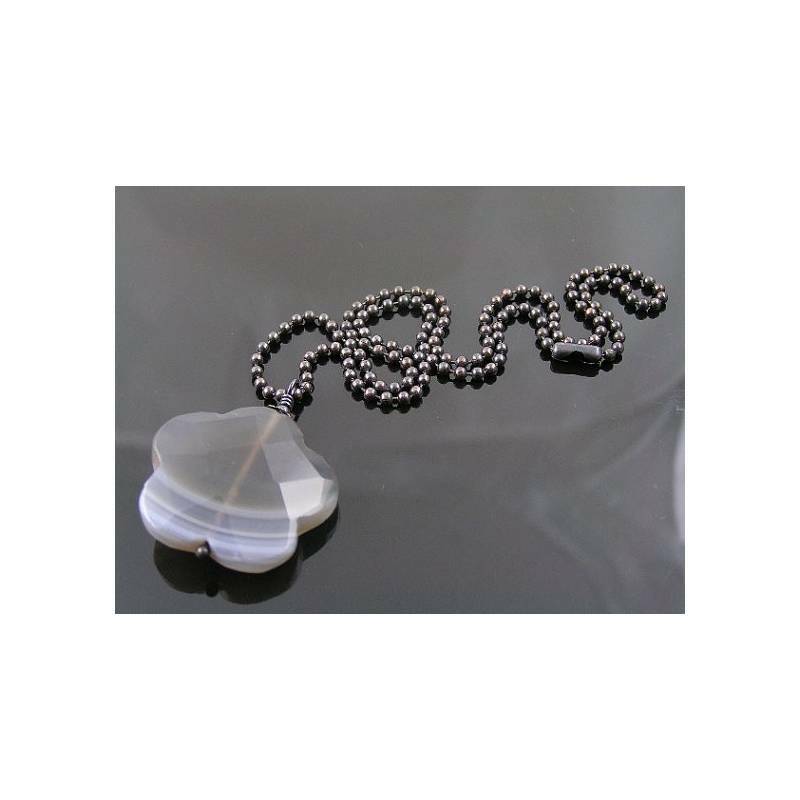 I also wanted to keep it monochrome so that the necklace matches with virtually anything. The flower measures 3cm across the widest part. 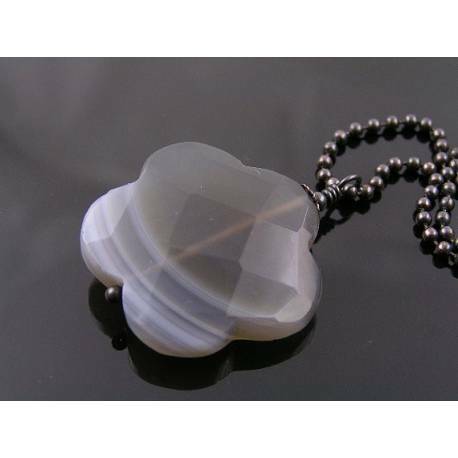 It sits on one of my hand torched ball pins and is simply capped with a small filigree bead cap and another little bead. The ball chain as well as all other metal parts is solid copper which I oxidised to a near black finish. To preserve the finish, I sealed all metal parts with a non-toxic jewellery lacquer.